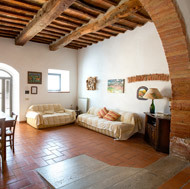 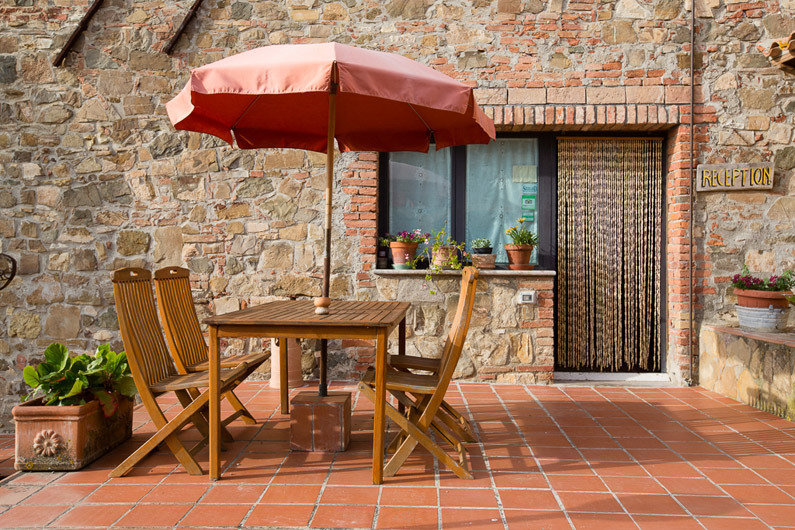 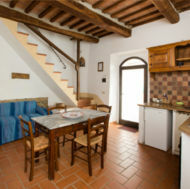 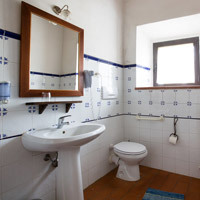 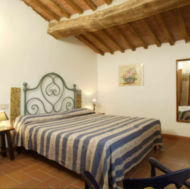 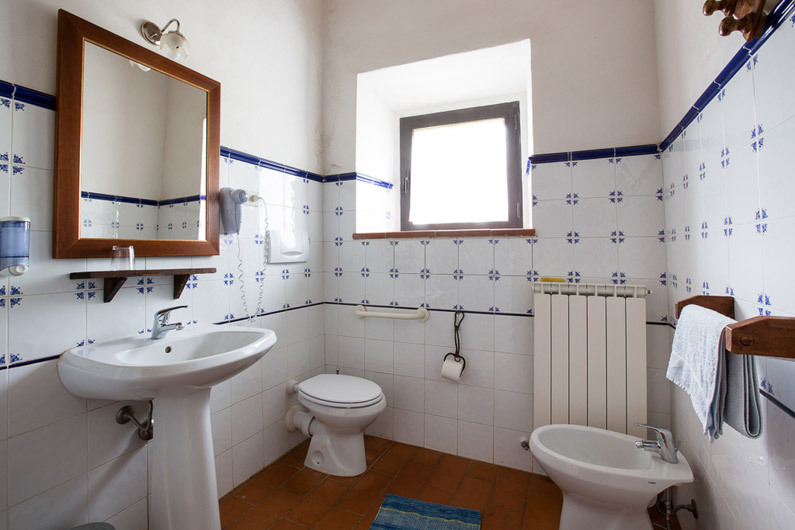 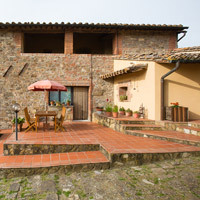 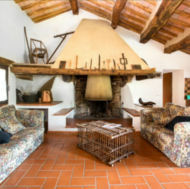 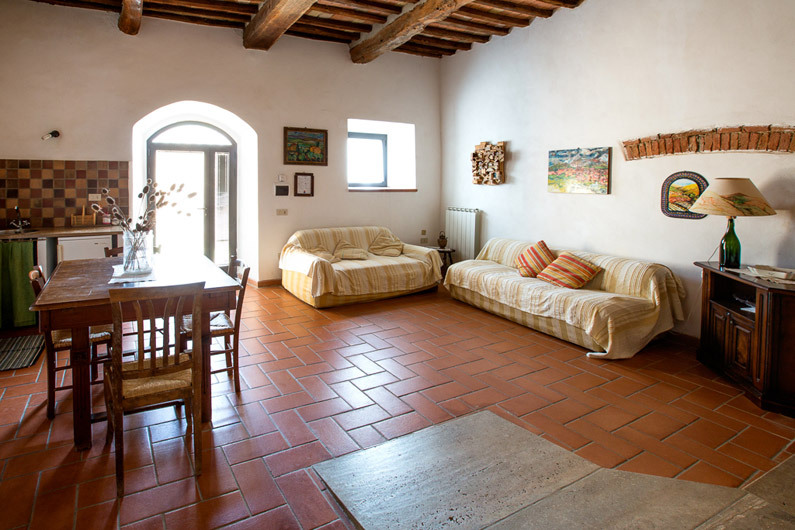 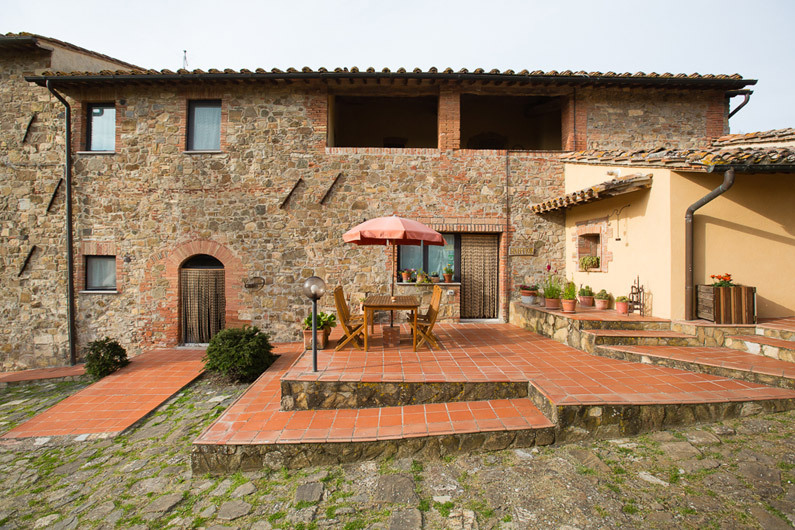 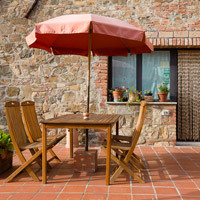 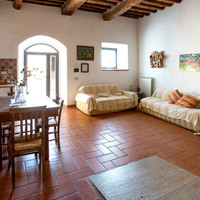 This apartment is situated on the ground floor with main entrance from the courtyard (access equipped for handicapped). 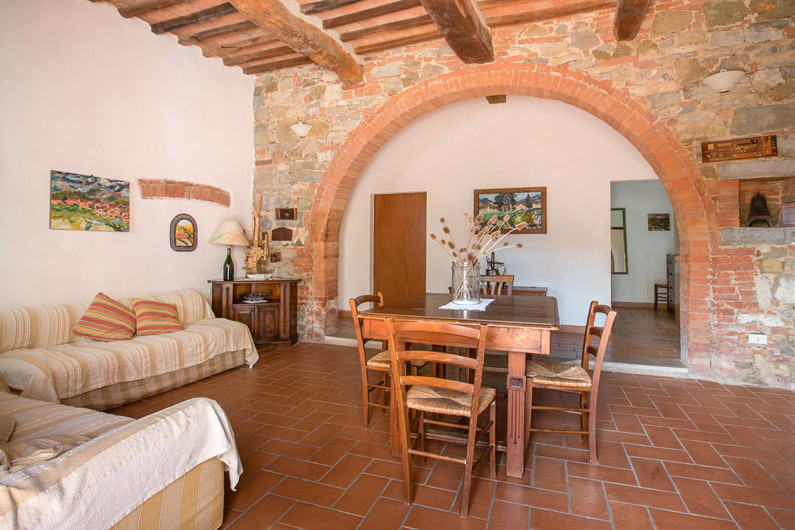 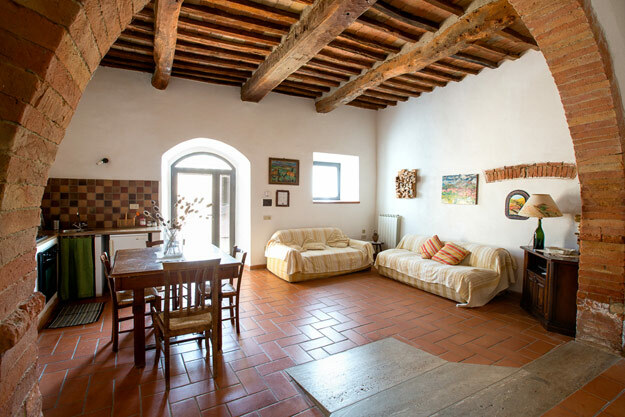 It is composed of a wide dining/living room embellished by a wonderful arch, with kitchen corner; two doors lead to the bathroom with bathtub and to the twin-bedded room. 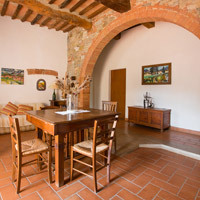 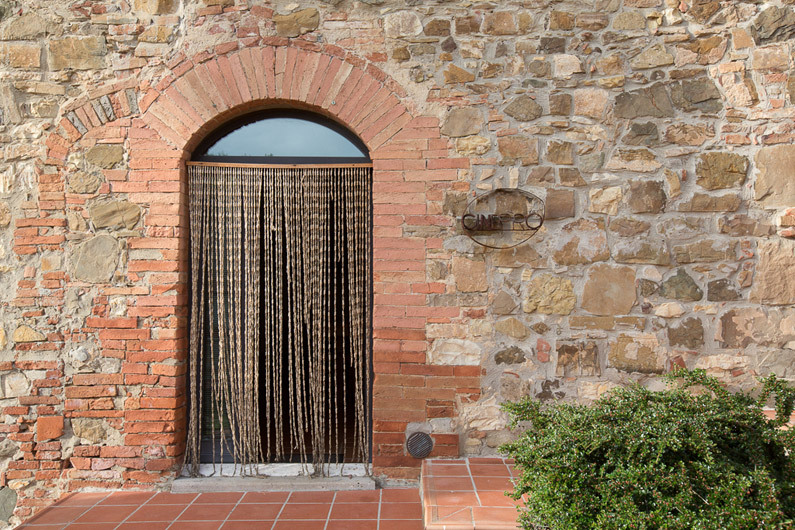 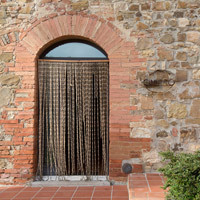 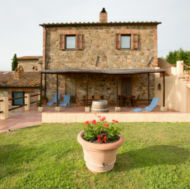 Descending a few steps you can reach the double bedroom, which has a further private entrance and from whose window you can discern Montalcino.